Do Yorkies have have hypoallergenic coats? Breeding Yorkshire terriers is something a lot of Yorkie owners want to experience at least once. However, because of their very small size, the mating of yorkshire terriers, followed by the pregnancy, and delivery of the puppies, are all somewhat challenging stages. Worry not though, most breedings and deliveries are seamlessly happening as long as you are informed. C-sections have to be expected and if you are wondering how to breed yorkies, you need to understand that health comes first. Periodontal health, genetic testing, patellar luxation, and many conditions are frequent within the breed. As a soon-to-be yorkshire terrier breeder, it is your duty to clear your dogs from these conditions. Yorkshire Terrier breeding is a fulfilling experience but read up on our article to be equipped with modern knowledge. That way, you will save yourself a lot of time and accidents. Dogs that flushed out and killed rats in clothing mills in Northern England in the mid 18th century were useful little dogs. These dogs came to be known by that county where they were found and developed. The counties of Yorkshire and its adjoining county of Lancashire had many clothing mills that needed these small but feisty dogs. Small dogs from Scotland of the terrier type influenced the look and utility of the developing breed. The Paisley terrier and the Maltese breed were part of the early profile of the breed. At first, the breed clubs did not differentiate among the various types of long-haired terrier-type dogs—all were labeled “Yorkshire terriers”. The differentiation of the breed as its own happened with the appearance of a famous show and stud dog named Huddersfield Ben. This dog is called the really first Yorkshire terrier, and the progenitor of the many that followed him. This dog was whelped in 1865. He was owned by Mary Ann Foster in Yorkshire, England. Huddersfield Ben was the product of a mother-son pairing. The dog won 74 dog shows in its career. He sired many offspring in his short six years. Ben weighed about 9 pounds, but his offspring frequently weighed seven pounds or less. The memory of Ben was preserved both by a painting of him by George Earl, and in the descendants he created. Huddersfield Ben has been called, the father of the breed. The success of Huddersfield Ben as a show dog, and the interest of small companion dogs for ladies and gentlemen of the Victorian era helped grow its initial popularity in England. The Kennel Club was founded in 1873, and the Yorkshire terrier was one of the first breed to be recognized (in 1874). The breed became a success in the United States as well, and the breed was recognized by the AKC in 1885. In the United States, the breed took a dip in popularity in the late 1930s and early 1940s. However, the war exploits of a dog named Smoky helped bring back interest in the breed. According to the story, Smoky was found in a foxhole in New Guinea by a soldier who sold it to another soldier, Corporal William Wynne. The dog remained with Wynne throughout some harrowing ordeals of combat. The dog was credited with saving its owner’s life by warning him of incoming shells. When Wynne and Smoky made it back home to Cleveland in 1945, a front page story about the dog was featured in the Cleveland Press. This article brought fame to the breed, and soon Yorkie’s were again being registered in great numbers. The arrival of the internet has been a big boom for Yorkie breeders. The size of the Yorkie makes it easy to transport them great distances, and their appealing look and size often go viral on social media. In the United States an industry of breeders who market and sell dogs online has exploded. Some buyers, in fact, don’t see the dog for real until it is picked up at the airport. Yorkies are a favorite breed of unscrupulous puppy mills. More dogs capable of being crammed into a space means more money for these unethical breeders. The parent club in America has taken steps to educate the public about the problem. The Yorkshire Terrier Club of America maintains a list of breeders that have promised to behave ethically. The popularity of the Yorkie ebbs and wanes in the United States. The Yorkshire terrier breed was listed the third most popular breed in 2010. The yorkshire terrier’s popularity has been declining somewhat with the rise in interest in larger dogs. In 2016, the Yorkshire terrier ranked 9th on the AKC list of most popular breeds. The breed has at times been featured at the sides of celebrities like Audrey Hepburn (1950), and more recently the first daughter, Ivanka Trump. AKC standards of the Yorkshire terrier have largely gone unchanged since its beginning. The perky little terrier is a long-haired dog that does not exceed 7 pounds. It has a small head, alert eyes, and has four allowed colors combinations (black and tan, black and gold, blue and tan, blue and gold). The head and feet should be all tan, the body a dark blue, and all colors should exclude interspersed black color. Solid colors and any white markings (except a smidge on the chest) are disqualifications. According to AKC standards, the tail should be docked. The Kennel Club because of legal requirements allows docked and undocked tails. One of the popular selling points is that the breed is somewhat hypoallergenic. Yorkies have a silky coat that resembles human hair. It lacks the undercoat typical of other breeds. The breed only lightly sheds. However, people allergic to dogs are not always allergic to the fur itself. Many allergic reactions are due to the skin or dander of the dog. A dog that sheds little has less dander, but less is not the same thing as none. For highly allergic individuals a little is too much. Some people have allergies to the saliva of the dog. Yorkies do not make the list of breeds recommended by the AKC for the ten percent of the population that suffers with dog allergies. The Maltese does, though. So is the Poodle. The Maltese is thought to be one of the breeds that was early on incorporated into the gene pool. The coats of the two are very similar. It is likely, therefore, that the low-shedding Yorkie would be tolerated well by someone with less severe dog allergies. 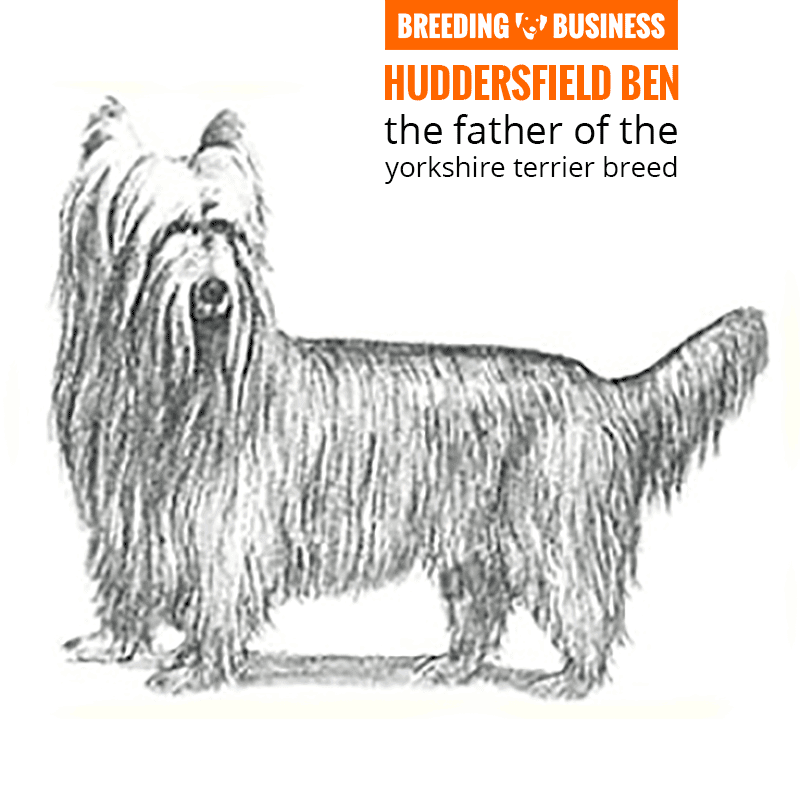 Huddersfield Ben is the very first Yorkshire Terrier, and the father of the breed. Yorkshire Terriers are affected by quite a few health conditions in comparison to other dog breeds. Generally, this is a direct consequence of their small size and a lot of inbreeding in a given dog’s pedigree. When you decide to breed yorkies, you must ensure their good health and sound genetics before attempting to organize a copulatory tie. In general, toy breeds have dental problems because they have small mouths lacking sufficient room for all teeth to grow properly. The genetics of downsizing the palate and the teeth sometimes has not quite kept up with the rest of the dog. Dogs have two sets of teeth—puppy and adult. The 28 puppy teeth (or deciduous teeth) come in at 3 weeks and the adult teeth start erupting at 3 months. Normally, the adult tooth replaces the puppy tooth. Usually by four months all the puppy teeth are gone. By six months a dog should have all of its 42 adult teeth. If a puppy tooth is not pushed out, it will cause crowding of teeth in the dog’s mouth. This crowding makes for a poor bite, and is subject to tooth decay. Yorkies will frequently retain some puppy teeth. The solution is to pull the baby tooth. All Yorkies should be given regular teeth cleanings to prevent gum disease and tooth decay. When breeding Yorkshire terriers, the breeder must have schedule planned up with the vet for the year coming. Progressive Retinal Atrophy is a genetic condition that crops up in Yorkies. In this condition, the rods and cones of in the dog’s eyes deteriorate. The first signs are night blindness. This disease usually begins in middle aged dogs. There is no cure. Dogs with it will ultimately be blind. The Orthopedic Foundation for Animals recommends genetic testing and eye examination for dogs PRA is caused by recessive genes. There is a genetic test for it. Yorkies are known for the strange goose-like honk they make when exposed to wind, exercise, or allergens. This sound results from the design of the windpipe (trachea) in the toy breed. It is a symptom of a serious condition called tracheal collapse. In this condition, the rings of cartilage that make up the trachea begin to collapse. Of course, obstruction of the airway for the dog can become a serious medical event. Most dogs develop the condition over time with obese dogs and older dogs most seriously affected. The condition is medically managed in most dogs. Surgery can repair a badly collapsed trachea, but it is a tricky surgery saved for the worst cases. This condition is generally thought to be genetic in Yorkies. There is no genetic test for it yet. Owners of the breed should not use collars or stress the neck (windpipe) of the dog. Dr. Karen Tobias at the University of Tennessee has written extensively about liver conditions prevalent in the Yorkshire terrier. The risk of liver shunts in Yorkshire terrier has been reported to be as high as thirty-six times that of all breeds combine. The liver filters the blood of toxins. In a portosystemic shunt, a dog lacks the blood vessels leading to the liver resulting in toxins remaining in the animal’s blood. Dogs with this condition can become very ill. They often lose weight. They may, also, have seizures. This congenital problem stunts the development of puppies and its symptoms usually become more pronounced as the dog ages. The condition is treated medically and with special diet. Severe cases require surgery. The evidence is highly suggestive of a genetic root to the condition, but there is currently no genetic test for it. Yorkies are known for having sensitive digestive systems. Yorkie breeders should feed a high quality kibble. Dogs that exhibit digestive problems especially ones that get worse or do not seem to get better with a better quality food should be thoroughly evaluated by a veterinarian. Liver shunts (as discussed above) do cause problems with the digestion. The problem is so common that the marketplace provides dog food for those dogs suffering from liver issues. Hypoglycemia means low blood sugar. It is caused by the pancreas not producing enough insulin for the body’s metabolism. Dogs with the condition may be lethargic, tremble, not eat, show a lack of coordination, and, if left untreated, may lose consciousness. Untreated hypoglycemia can result in death. Yorkie puppies under three months are particularly susceptible to the condition, but all toy dogs run a risk. Hypoglycemia can be treated by meal management and awareness of the owner. Several small meals may be advised for toys that show radical spikes and valleys in their blood glucose levels. Legg-Calve-Perthes disease is cropping up in the Yorkshire Terrier breed. In Legg-Calve-Perthes, the blood supply to the femur bone of the leg gets cut off. The bone tissue then dies. The irregularity in the structure of the femur causes leg problems like pain and lameness. It is a condition that first strikes puppies at about 6 months of age. Toys and especially Yorkies have high rates of the condition. Treatment involves surgical removal of the dead bone tissue. Research is ongoing into isolating the genes responsible for the condition. Yorkshire Terriers have a very high incidence of patellar luxation. In this condition, the kneecap of the dog comes out of place. Symptoms include pain, and lameness, becoming “knock-kneed” or suddenly becoming unable to stand. Surgery is the best way to put the kneecap in place and secure it, but the outcomes vary. The initial surgery has a success rate of 90 percent, but approximately half the time the problem recurs. Older dogs which also suffer osteoarthritis in the joint may not have as favorable surgical outcomes. This is an inherited condition. The Orthopedic Foundation for Animals maintains an extensive database on dogs with the condition. According to OFA information, Yorkshire terriers ranked second only to pomeranians in incidence rates of patellar luxation. Twenty-three percent of the 828 dogs evaluated were positive for the condition. Yorkshire Terriers are a small breed, and this has consequences on their breeding, pregnancy, labor, and delivery of the puppies. When breeding Yorkshire terriers, as explained below, there are a lot of risks and inevitable expenses that the breeder must prepare for. All the risks linked to breeding yorkshire terriers make the price of each puppy go up. The emotional charge is also huge on the yorkie breeders which is something to consider if this is going to be your first Yorkshire terrier breeding. Vet bills will also accumulate with most of the interventions generally not covered by dog insurance policies. Yorkshire terriers have small litters commensurate with their small size, the puppy count ranges from two to five puppies. The average is four puppies. A larger dam would tend to the higher numbers, and smaller ones to the lower ones. The number of whelps does include all puppies whelped including stillborn and ones that died shortly after birth. The neonatal mortality rate in litters of very small Yorkies (under four pounds) is high. Also, Yorkshire terrier puppies that die after birth oftentimes do so from hypoglycemia (low blood sugar). Breeders of Yorkies need to make sure the puppies are nursing. If a puppy is not adequately nursing, it is very likely that the puppy will become hypoglycemic. Breeders must be ready to step in and bottle feed using high-quality puppy formula. Birth complications are high for the breed. The small size of Yorkies necessitates c-sections on a routine basis. It is very important that the size of sires and dams be of the same size. Ideally, a sire would have a history like the breed’s progenitor Huddersfield Ben and produce smaller puppies. Of course, mating a small sire with a larger dam could be problematic too. Extremely small Yorkies simply can’t deliver puppies naturally. Small Yorkies, unfortunately, do not tolerate anesthesia well. Death from anesthesia adds to the risk of a cesarean section. Some veterinarians will test a dog’s sensitivity prior to a surgical event. This kind of testing should be done prior to pregnancy. The most common reason for cesarean sections among Toy breeds is size dystocia or the birth canal not being large enough to deliver the puppy. The puppy just gets stuck. Dams which have a prolonged labor with no puppy being whelped need immediate veterinary attention. The coat of the the Yorkie is one of the main things that make the breed so unique. There are only four acceptable colors. Both the Kennel Club and the AKC standards for the breed require a mature dog have the dark steel blue from the back of the neck to to the base of the tail. The tan on the dog is a dark one. Tan hair strands are darkest at their roots and become progressively lighter to the tips. Yorkie puppies are born dark black or tan. They begin to get their mature coat at about six months. At full maturity they should have the customarily colored coat. No interspersed colors are permitted on a mature Yorkie. Usually by a year or two the coat has reached its mature color. The puppy coat makes a selection of a puppy a bit of an unknown for those hoping to show a dog. Fortunately, Yorkies rarely have unusual coloring or patterns. Those that do are not bred. People get excited about small dogs—the smaller the better. The idea of a dog so small it can fit into a pocket goes back to the Victorian age. The breed standard sets a maximum weight of seven pounds as desirable, but is silent on a minimum. The implication from the standard, too, is smaller is better. In 2010, a Yorkshire terrier named Lucy got included in the Guinness Book of World Records as the smallest working dog. Lucy, at the time 3 years old, only weighed two and a half pounds and was six inches long. Lucy fits the description of a miniature or teacup Yorkie. However, the use of the labels teacup and miniature are marketing terms and not recognized by the breed’s parent club in the U.S, the AKC, and the KC. The America Yorkshire Terrier Club deems the use of such terms as “teacup” in advertising an ethical violation for its members. The Kennel Club has taken a very clear stance about not only the health risks to dogs bred so small, but also the “unscrupulous” nature of the advertising for them. Extremely small dogs have more fragile bones, and have more respiratory problems. The Kennel Club does not set a limit on what ethically is too small, but stresses that breeders should refrain from exaggerating any of the characteristics of the breed standard, including the Yorkshire terrier’s size. Smaller is better as long as health is not sacrificed for it. None of the registries accepts teacup Yorkie or miniature Yorkie as its own breed. These tiny dogs, though, have been around for a long time. Many of the very first conformation shows of the breed in 1878 included classes of Yorkshire terriers under five pounds. A three-to-seven-pound weight, finally, became the norm. The AKC has been less clear on the subject of extremely small breeding. The AKC has stated it does not “endorse” teacup breeds, but does not issue a strong statement like the Kennel Club. The AKC, in general, has been less receptive to restraints on ethical breeders. A smaller but healthy Yorkshire terrier seems to be a possibility for the AKC. Most commentators recommend a minimum weight of four pounds for a healthy adult Yorkshire terrier. A dog of this weight can have strong bones, breed and whelp like any of its bigger cousins. Tiny dogs have fragile bones, more hip dysplasia and other structural diseases, and are more at risk for cesarean sections and death from anesthesia. Litter sizes of dogs under four pounds average two puppies. These small puppies have a high risk of not surviving to weaning. Tiny Yorkie puppies are at extremely high risk of death from hypoglycemia. The Yorkshire terrier has been the basis of other types of dogs that became breeds in their own right. For example, at the turn of the 20th century the Yorkshire terrier was outcrossed and bred with the Australian Silky terrier. Australian breeders touted a new breed of dog, but it took five decades before the Australian Silky terrier was finally recognized by the AKC as its own breed in 1959. Another example is the Biewer Terrier which has only been recognized as its own breed since 2014. Thirty years before, the biewer terrier started out as a Yorkshire terrier with coat colors of blue, white, and gold. This nonconforming Yorkshire Terrier had such a great look to its owner (Mrs. Biewer) that she spent her lifetime breeding these dogs. Other people loved the look and —as it happens in the dog breeding world— a new breed was created. Fourteen crosses of the Yorkshire terrier have been bred for one reason or another. Sometimes a breeder will be responding to a public demand like making a great looking dog have flopping ears rather than upright ones, or for a coat to become less of an allergy problem. For example, a cross of a Yorkshire terrier with a Chihuahua makes a Chorkie. The improvements made over either breed may be in the small size but with an exceptional soft and silky coat. Other common crosses include the Morkie (Maltese cross) and Yorkipoo (Poodle cross). None of these crosses are recognized by any of the breed clubs. These crosses are frequently advertised and sold online. Many of these small crosses that are sold en masse online originate in puppy mills. 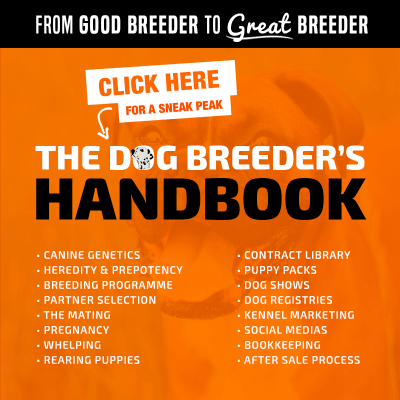 Most designer dogs lack the thoughtful breeding that will turn it into a recognized breed. Puppy mills rarely, if ever, make their breeding stock undergo health checks so buyers are putting themselves in a delicate situation of having to shell out thousands of dollars in a few years’ time. The breeding of yorkshire terrier dogs is divisive. Mainly because original fanciers of the breed are defending the original look of the breed, while newer owners and breeders are keener on a smaller and trendier type of Yorkshire terriers. The future of Yorkie breeding should normally go in two different directions over the next years. The breed will remain as it is today with its normal healthy size. Yorkshire terriers have always been loved and will always be loved for their peculiar coat and look. 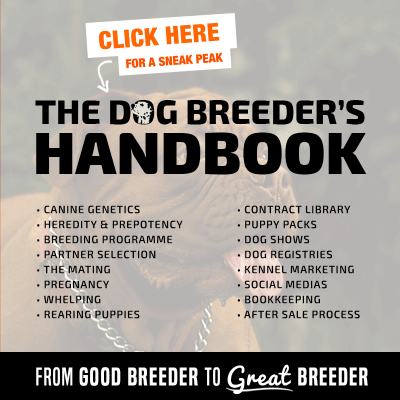 The slow decrease in popularity may boost the other breeders, preferring a smaller size and a more viral look even if this means giving up on the official registration as purebred Yorkshire. 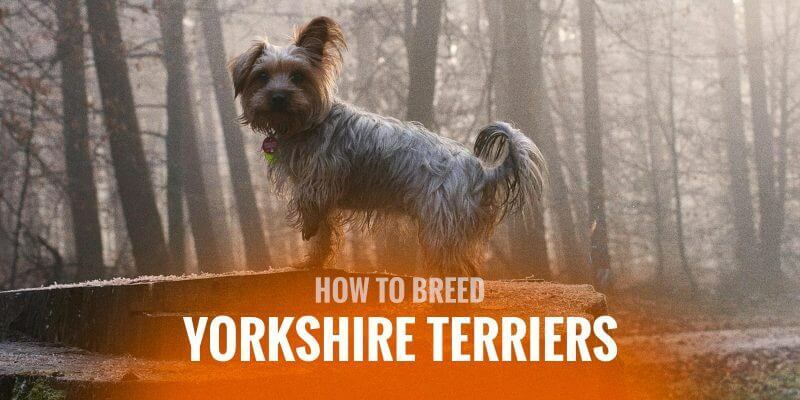 A lot of hybrid breedings are happening and Yorkshire terriers are also part of these crosses; we can expect a lot more of them over the next years. The general public is now less enamored with purebred dogs. Hybrid and designer dogs are often preferred over purebred dogs, allowing breeders to trial new crosses as often as they think is necessary.